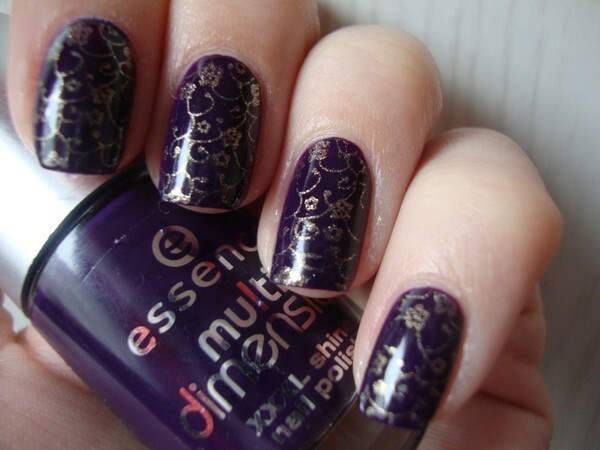 ESSENCE - PURPLE CHERRY & KONAD - Tina Rakuš. 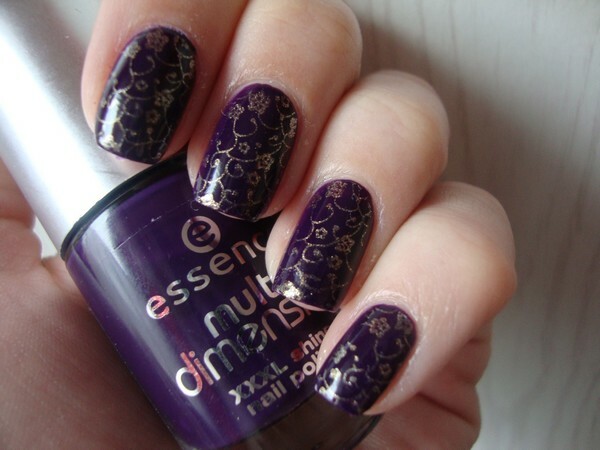 I used Essence - Purple Cherry, purple creamy nail polish. I added two to three coats to get a good result. 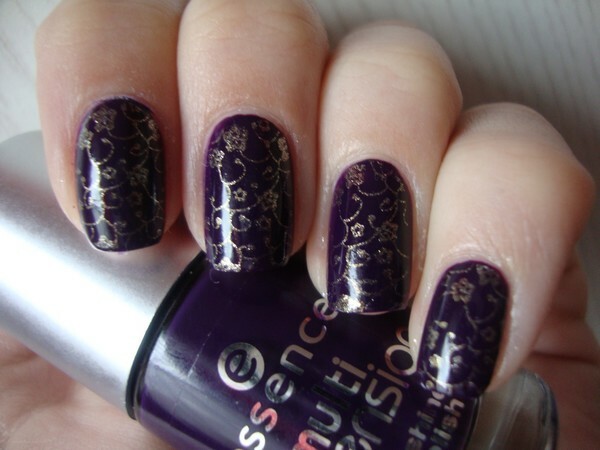 I used also Konad m73 stamping plate and Catrice - Goldfinger nail polish for pattern.